There was no shortage of dramatic moments in the life of Cesar Chavez, the late cofounder of the United Farm Workers. In the struggle for dignity in the fields, he marched until his feet were bloody and fasted until he was faint. Once, he spent 20 days in jail for refusing to call off a lettuce boycott. Such sacrifices put his face on the cover of Time magazine and turned the farmworker campaign into an international cause, the likes of which we haven’t seen since. This Cesar Chavez Day, however, I’d like to recall a quieter moment—and one that transformed the trajectory of his life. It occurred in San Jose, on the evening of June 9, 1952, when a stranger named Fred Ross showed up at his front door. At the time, Chavez lived in an East Side neighborhood called Sal Si Puedes, or “get out if you can” in Spanish. And there was plenty to get away from. Many streets were without lights, sidewalks, or sewers. A nearby packinghouse dumped refuse into a creek, and when it rained the creek overflowed, flooding the neighborhood with toxins. Two years earlier, residents had gathered signatures asking the city to pave the East Side’s dirt roads. Nothing had happened. Mexican immigrants were meant to pick and pack the valley’s fruits and vegetables, and stay quiet. Sal Si Puedes was the embodiment of what Michael Harrington would call, in a decade’s time, the other America: separate, unequal, invisible. In 1962, when Chavez set out to build a farmworkers union, he did so using tactics he had learned from Fred Ross. Ross was a curious presence in the barrio. White and wiry, with movie-star looks and a poor grasp of Spanish, he seemed in need of directions back to the freeway. 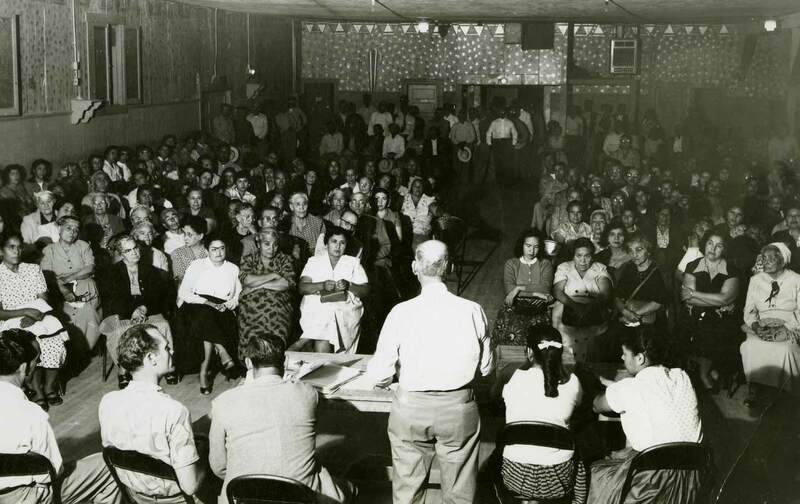 But he wasn’t lost—he was an organizer looking for a way in, hoping to build a statewide movement of Mexican Americans. A local nurse had passed along Chavez’s name as a potential recruit, though Chavez was initially suspicious of “this gringo,” as he later put it. At 25, he had enough to worry about as he struggled to support his growing family with part-time work at a lumberyard. Two hours later, Chavez’s skepticism had been transformed into wide-eyed enthusiasm. In his short life, Chavez had seen plenty that wasn’t right. His father had lost their ranch during the Depression, and much of Chavez’s boyhood was spent on the road, picking crops under a scorching sun. The problems seemed vast, the only solution to buckle down, work harder, and rise above. But that night, Ross presented another option: Mexican Americans rising together. And he somehow made progress feel not just possible, but inevitable. Ross also came away impressed. “Chavez has real push, understanding, loyalty, enthusiasm, grassroots leadership quality,” he wrote in his notebook. After that meeting, Chavez would spend much of the next decade by Ross’s side, listening and learning as the pair organized chapters of a group called the Community Service Organization (CSO) across the state. Ross had made organizing look easy, but Chavez quickly reconsidered. “Right away I began to see all of the things that he did, and I was amazed—how he could handle one situation and have a million things going in his mind at the same time,” he recalled. Ross was equally taken with Chavez, whose dedication matched his own. 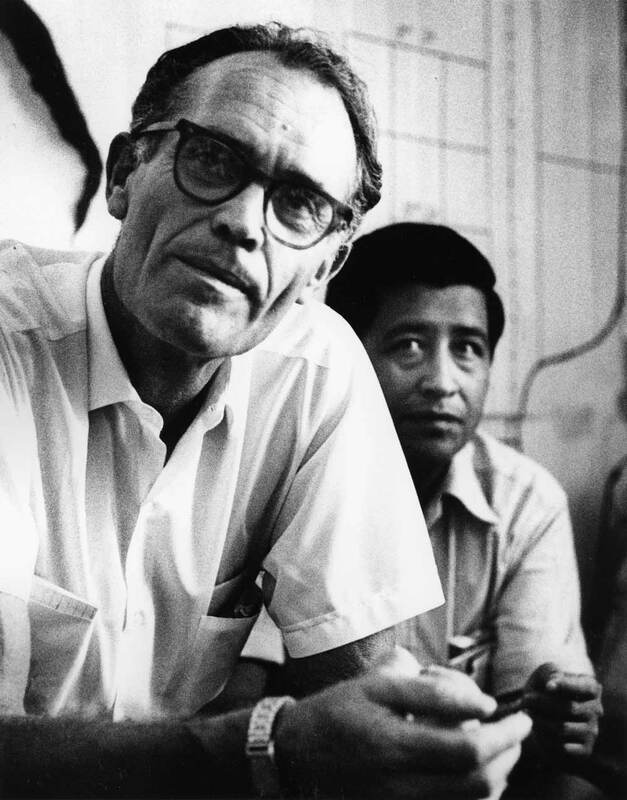 Ross’s work was funded by Saul Alinksy, the legendary organizer and founder of the Industrial Areas Foundation, and he soon convinced Alinsky to hire Chavez as a full-time organizer. In 1962, when Chavez set out to build a farmworkers union, he did so using tactics he had learned from Ross, winning over workers one by one, in gatherings much like their initial meeting in Sal Si Puedes. By the time they crossed paths, Ross was already a seasoned organizer. In 1947, he had helped form the CSO in East Los Angeles. The group’s innocent name—Saul Alinksy complained it made even “the Junior League sound militant”—masked its radical mission. In five years, the CSO had registered thousands of Mexican-American voters, elected a Spanish speaker to City Council, and pushed the first excessive-force convictions in the history of the Los Angeles Police Department. Before that, Ross had led campaigns to desegregate California schools, helped secure the release of interned Japanese Americans during World War II, and managed the same labor camp that inspired John Steinbeck’s The Grapes of Wrath, where many decisions were made by an elected council of Dust Bowl refugees. In the 1970s and ’80s, Ross trained thousands of organizers, and his techniques—especially his emphasis on using house meetings to build an organization—are embedded deep in the DNA of countless unions and community groups today, from SEIU to the Industrial Areas Foundation. He mentored dozens of important figures—including Chavez, Dolores Huerta, and Marshall Ganz—who would go on to help change California and US history. Still, Ross remains largely unknown today. He died in 1992, having spent his later years living alone in a primitive one-room cabin. This obscurity isn’t altogether surprising. Ross believed an organizer was supposed to fade into the crowd as others stepped forward. As he wrote, “An organizer is a leader who does not lead but gets behind the people and pushes.” He spent his life pushing people to lead—in living rooms, in union halls, on picket lines—and in so doing, he pushed himself right out of the spotlight. But there is little doubt that Ross, who worked closely with Alinsky, is one of the most influential organizers in American history. The CSO, to which he dedicated 15 years of his life, became the most powerful Mexican-American group in the country, registering half a million voters and shepherding in a new era of Latino political power across the west. They did so block by block and precinct by precinct, finding leaders who drove the work. There are lessons here for our time, when voter-registration initiatives tend to be top-down: enthusiastic press releases, big ad buys on television, celebrity endorsements, and typically little to show for it.